Almost everyone regularly comes into contact with dogs. While dogs bring many a great amount of joy, for others, dogs can incite a major fear. Most dogs are relatively friendly, however a great many can be dangerous and unpredictable, leading them to bite unfamiliar people or even their owners. If a dog ever bites you and causes serious injury, it is important to know how to properly proceed in dealing with a dog bite in Florida. Florida’s statute 767.04 states the law pertaining to dog bites in Florida. The statute states that the owner of the dog that bites anyone while that person is in a public place, or lawfully in a private place, is the one liable for the damages suffered by the bite victim regardless of the dog’s tendency for viciousness or the owner’s knowledge of the dog’s viciousness. The statute also states that if the person who was bitten was bitten because of their own negligence, then the liability of the owner is reduced to a percentage of which the victim was negligent. Finally, the owner of the dog can escape liability if the incident occurred on their property and there was a sign alerting of a dangerous dog or something along those lines. However, if the victim is aged six or under, the owner is still liable. Florida case law offers more definitive and exemplary explanations of the statute. 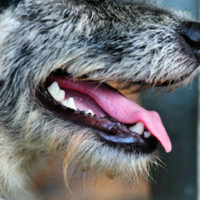 The Florida statute relating to dog bites imposes strict liability on the owner of the dog if the incident occurred in a public place, or lawfully in a private place when the bite occurs. This means that the owner, no matter what, unless the victim was comparatively negligent, is liable. Notice also how this recognizes that someone who was illegally on the property where the dog was has no grounds for recovery. It is relatively easily for the courts to determine whether a dog bite victim was easily on the land or not. Florida is unique in that a dog owner can escape liability for a bite if they post a “Bad Dog” sign. However, merely posting the sign does not let the owner completely escape liability; oftentimes, it is a jury question. In one case, the issue arose where the bite victim could not clearly read or speak English. The property where he was bit had plenty of warning signs about the dog, but since the man could not read them, he proceeded anyway. The court ruled in that case that the sign had to be legible and easily read, not that the victim had to be capable of reading the sign. Also, if a dog owner tells their guests to ignore their warning signs and the guests do and wind up getting injured by a dog bite, the dog owner is still held liable because they let the victims reasonably believe that they would not be harmed. If you or a loved one has recently been seriously injured by a dog bite, contact an experienced attorney at Spencer Morgan Law in Miami today for guidance on how to navigate the complex law and receive the justice that you deserve. We will help you throughout each step of your case.